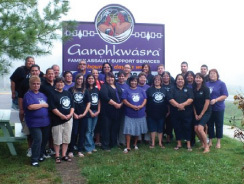 Community Counselling and Residential Services provide holistic programs based on Ǫgwehǫ:weh teachings that integrate the mind, body and spirit. 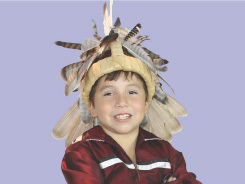 The teachings combined with mainstream counselling techniques provide a basis for helping one to accept responsibility for their total being. Abusive behaviours and their generational sources are explored in a caring, non-judgmental way. The commitment to this holistic healing process may be long term, based on the needs of the individual. 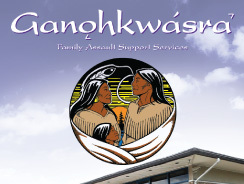 We invite you to take a virtual tour of the 3 Residential programs at Ganǫhkwásra` Family Assault Support Services. 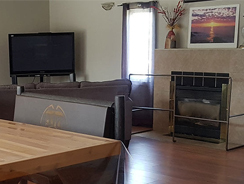 The virtual tour will allow you to physically view the Shelter program, the Youth Lodge program and Gayenawahsra – Next Step Housing. From the comfort of your home, you will be able to view these locations, helping you to gain a comfort level from knowing what to expect. To provide for revitalization of restored family units and individuals. To provide for the enhancement of restored family units and families. Check out our Sharing our Knowledge Articles. Learn more about this campaign.